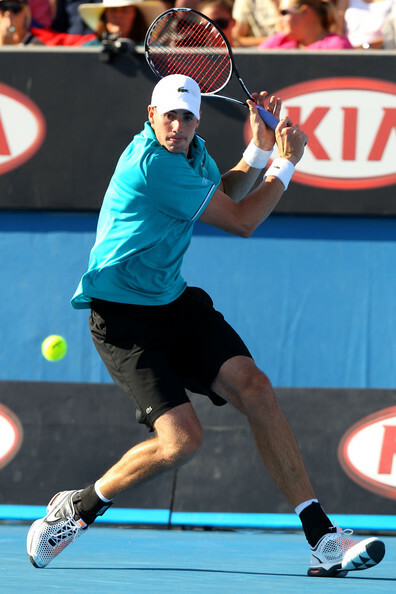 With continued stellar play from Mr. Djokovic and fun surprises like Leighton Hewitt’s 3rd round win over Milos Raonic, the 2012 Australian Open is proving to be a wonderful kick-off to the Grand Slam season! The only thing that could have made it better? 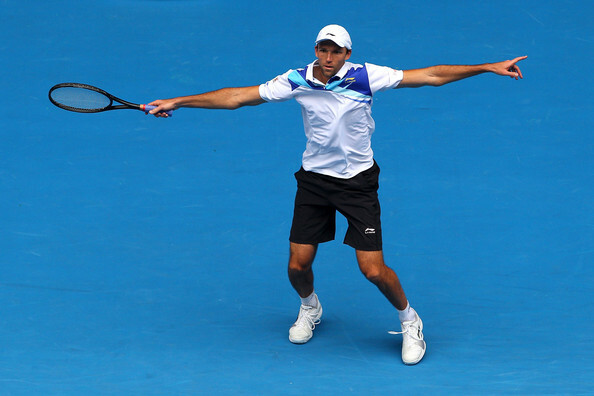 A Williams-Roddick mixed-doubles pairing…but we are keeping our fingers crossed for the future. 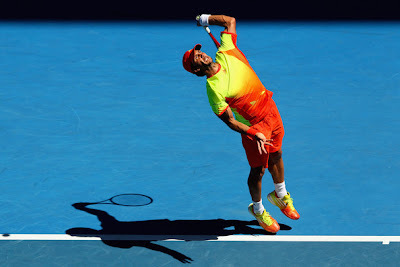 Even though someone had the misguided idea to recall 1980s neon - with a majority of players blindly jumping on the bandwagon - we did find a few styles that we enjoyed at the Aussie Open…here is our Fab Five for 2012. The Fed Express – 1st Prize…again…yawn. 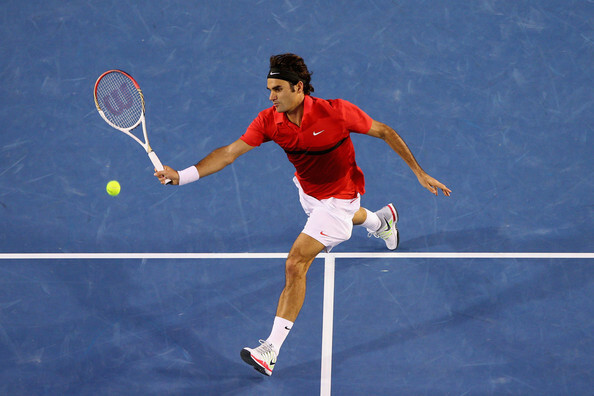 Roger is so put together that even his racquet matches. We have seen this exact outfit many, many times, however. And consistent perfection can get a little monotonous…well, almost. 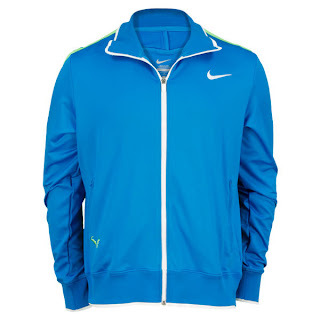 Check out Roger Federer's Style from our Australian Open 2012 Fashion Review. A well-fitting short in a neutral color, a good amount of bright white and small colorful accents…classic, simple and best of all…no NEON – thank you, Ivo! 2nd Prize! Okay, we can forgive a little bit of neon. This simple dress is beautifully cut, and the well-placed, eye-popping green is kept to a minimum. 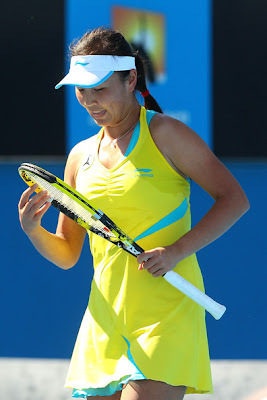 Check out Maria's style at our Australian Open 2012 Fashion Review. 3rd Prize! 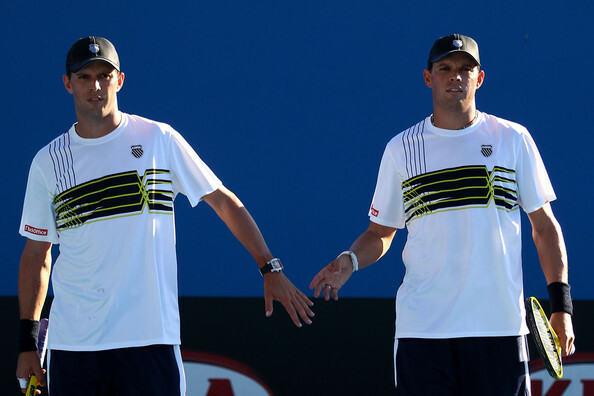 These snazzy K-Swiss shirts may have given the top-seeded Bryan brothers that extra bit of luck needed to move on to the semis. The brothers now have an opportunity to set a record with a 12th Grand Slam Championship….the second best thing that may happen to Bob Bryan this year. His wife is due to give birth to their first child at the end of this month! 4th Prize! 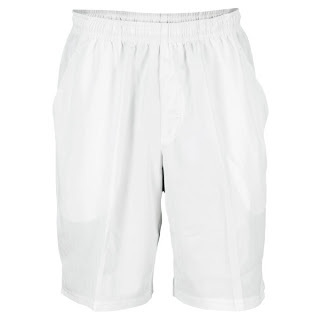 Stay Tuned for More Trendy Tennis Fashion Review Throughout the 2012 Season! 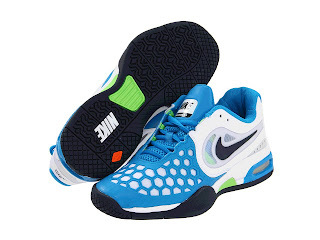 Did Nike telephone Adidas before they designed their Spring Tennis Collection this year? 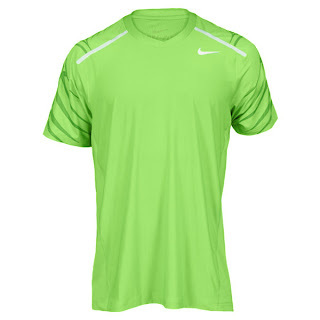 Or perhaps it was the other way around…but much too our chagrin, many players are sporting glaringly-bright styles! Those of you who would ask, “How much is too much?” have obviously not seen our first-place pick for worst-dressed this year. While we love the way that Jo-Willie fills out any style he chooses to wear, this ensemble is just TOO much! One, simple change would have landed Jo-Willie at the top of our Best-Dressed List: A bright, white shirt with small, colorful details. And speaking of too much…a little break from all the purples please, Miss Kvitova! Yeah...maybe it was Adidas taking the lead on the neon-inspired styles this year. It’s a shame we have to purchase heavy-duty sunglasses to get through the 2012 Grand Slam season! Thankfully…he went out early. While this K-Swiss top fortunately features only a bit of the neon, the overall effect is busy – to the extreme! Are there two designers working for the company this year? 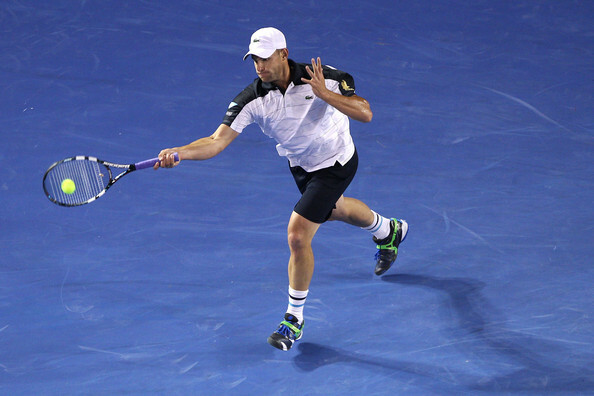 We loved the Bryan brothers’ K-Swiss choice – look for them in our “Best-Dressed” feature coming soon! It was one of the most expected matches recently. 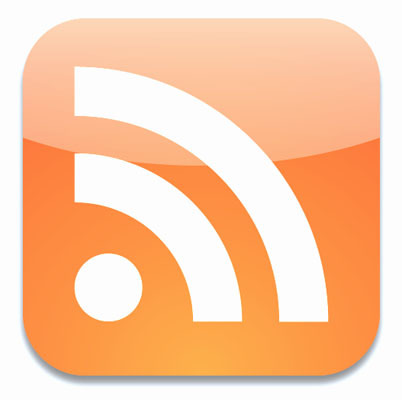 Tennis fans waited for it even more than for the final of Aussie Open. At last, two legends meet. 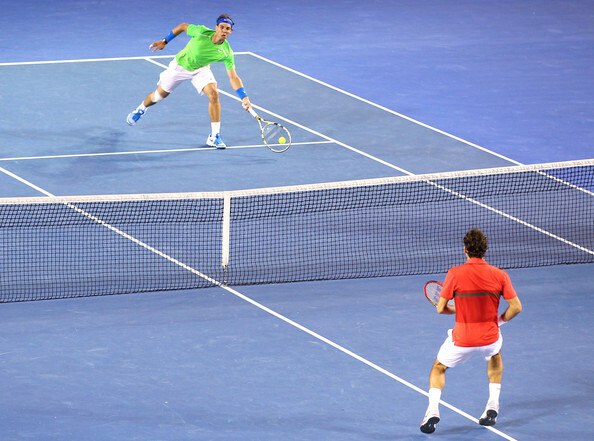 Rafael Nadal won Roger Federer in 4 sets, and will face Novak Djokovic or Andy Murray in the final. Let's see what Nike has in store for its two main ambassadors. 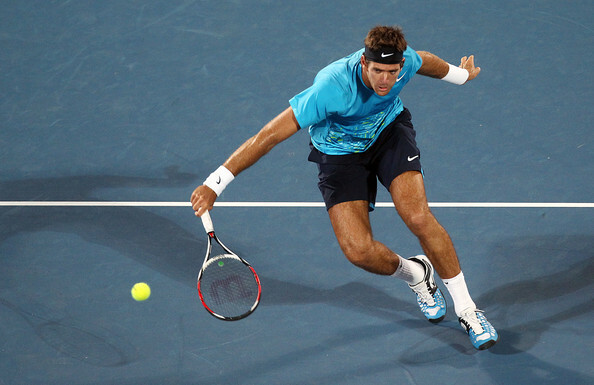 We LOVE Del Potro’s relaxed (yet put together) style! He always exhibits just the right amount of color paired with neutrals (typically navy) and a touch of bright white. 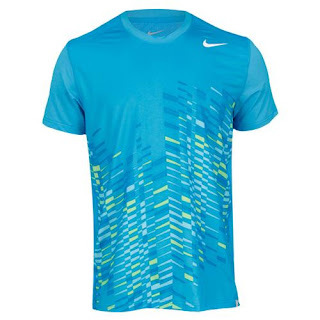 Check out Day 9 of our Aussie Open 2012 Tennis Fashion Review to see how to create Del Potro's Australian Open 2012 look. 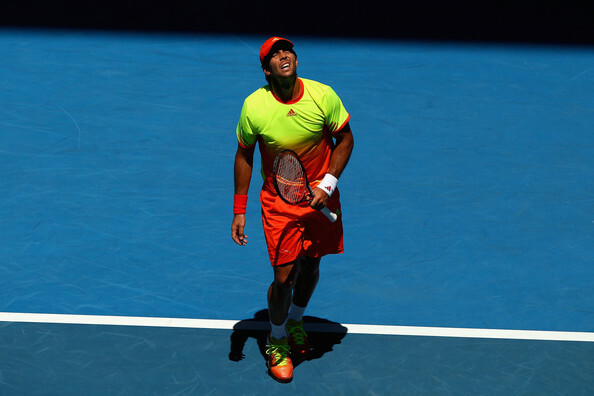 Verdasco usually ROCKS the color, but this time he went just a little too far! 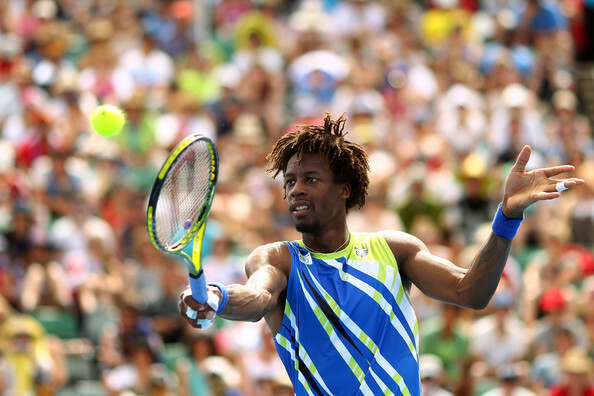 It’s a good thing he’s out early…we’re not sure our retinas could have taken another match! Speaking of color…Ms. McCartney has done a wonderful job designing this Performance Tennis Dress – she thinks about skin tone, color (look how beautiful it pairs with the court blue and Miss Wozniacki’s complexion), and fabric – this design features beautiful textural detail. Yikes…where to start? This too-bright shade of yellow rarely complements any skin tone, and the accent color clashes with the darker blue courts! 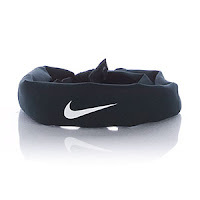 If you need something to keep those nasty beads of sweat from your peepers, we love a visor – this one beautifully accents the outfit, and it shields Miss Kirilenko’s eyes from harmful UV rays! 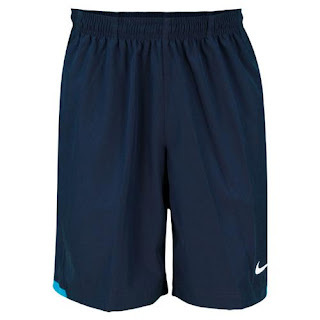 Doesn’t Miss Kvitova read Wear This NOT That?? We keep finding her in these unattractive headbands with tails – for goodness sake! 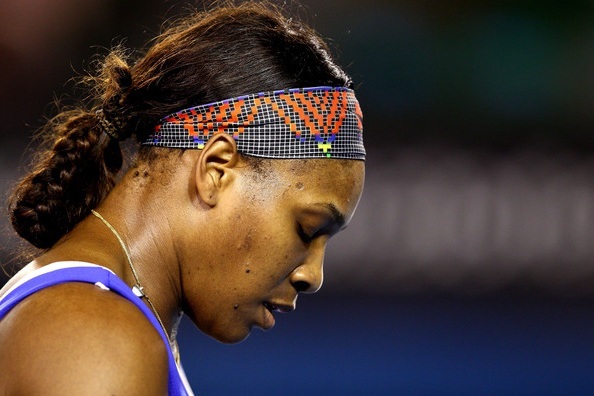 P. S. Shoulders back, Petra…but we digress. If you MUST wear a headband, choose one like Serena is wearing here – wide, with a colorful accenting pattern SANS tails! 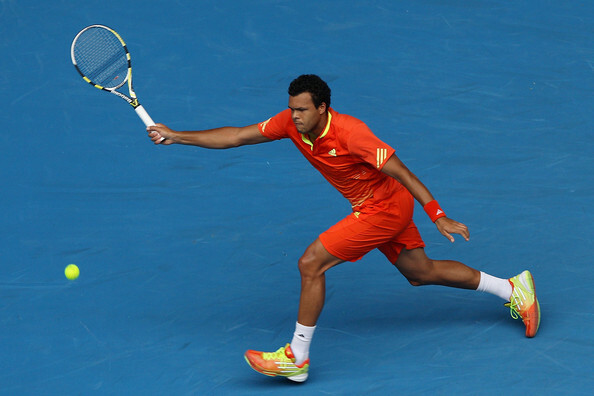 Coming Soon: Our traditional review of Top Five Best-Dressed Players – 2012 Australian Open! Juan Martin Del Potro lost to Roger Federer just in 3 sets. Was it a revenge dating back to U.S. Open 2009? We can't say for sure... But we are sorry to see Juan Martin go. 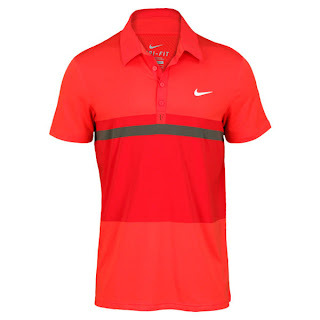 Not only is he a great player, he also was one of our favorites in terms of fashion on this year's Aussie Open. 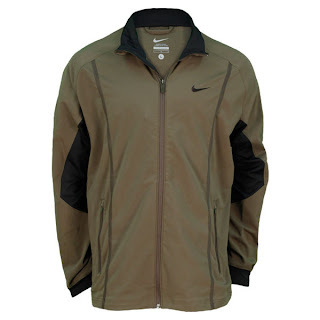 Check out our Wear This, Not That Australian Open 2012 article to see more. 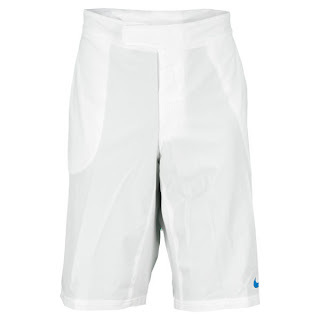 Fila's Australian Open 2012 collection is not in stores yet, but as we see, this season Fila went for both bright combinations with black and yellow and calmer grey-white-pink palette. A couple of surprises here as well - Vera Zvonareva is now with Fila, same as Nadia Petrova (at last she said "good buy" to Ellesse which didn't compliment her with the clothing). 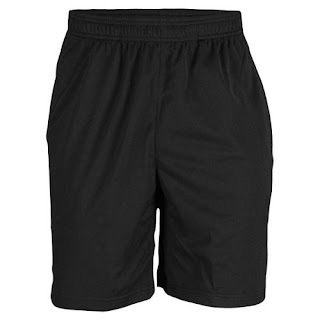 So, let's have a look at Fila girls and wait for the clothing to get to the stores. 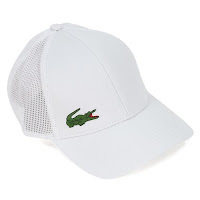 Lacoste lost (or let go?) some of the players who represented the brand. 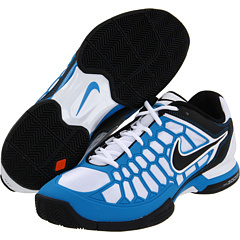 Samantha Stosur signed with Asics, and Wawrinka went to Yonex. 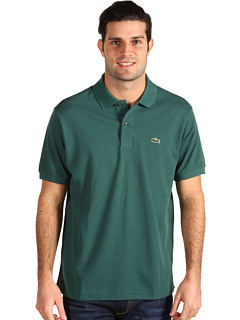 However Lacoste replenished its American representation adding John Isner to its main ambassador Andy Roddick. 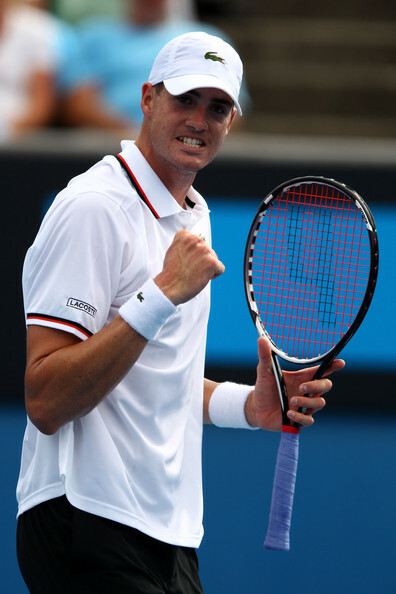 It was unexpected that Andy retired in a match with Lleyton Hewitt, but though he was not successful in this year's Australian Open, he released a collection with Lacoste, and the clothing we saw Andy in was actually from Lacoste Andy Roddick signature collection.